The Software Engineers in Microsoft's Devices Supply Chain Engineering have replaced their on-premise B2B integration platform with multiple Azure components all working together to create a fully cloud native scalable messaging infrastructure. 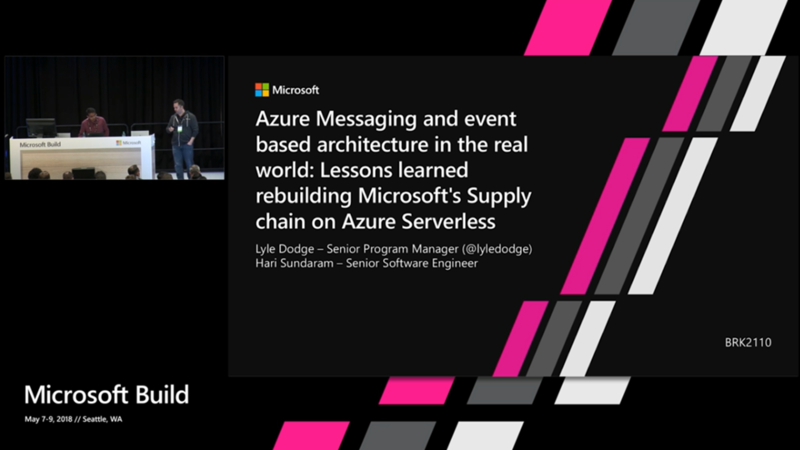 In this session, you'll learn how the engineers created an advanced event-driven b2b platform with rich telemetry using multiple Azure services to modernize how messages are passed between parties both internal and external to Microsoft. You'll also learn some lessons from the team on building a complex application across multiple Azure services - API Management, Functions, API Apps, Service Bus, Event Hubs, Key Vault, Application Insights, Log Analytics and Azure Active Directory.